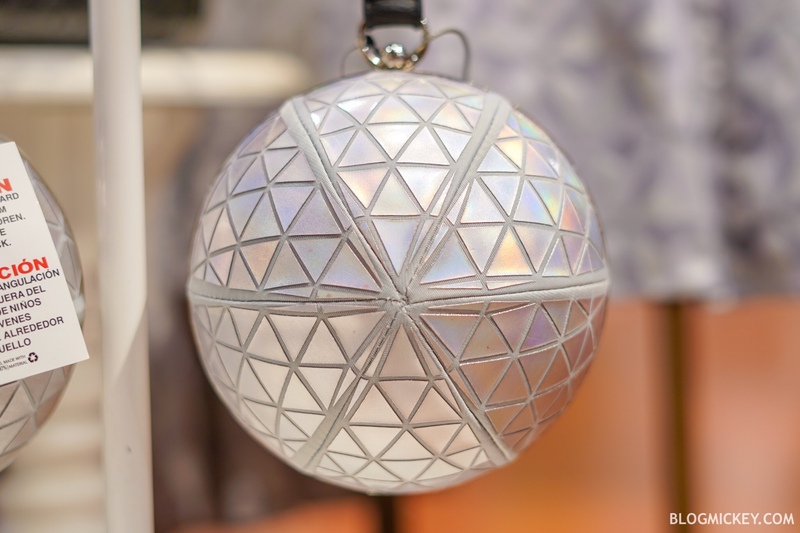 After debuting a Spaceship Earth dress in late March, Disney has just released a Spaceship Earth wristlet to help you complete the ensemble. 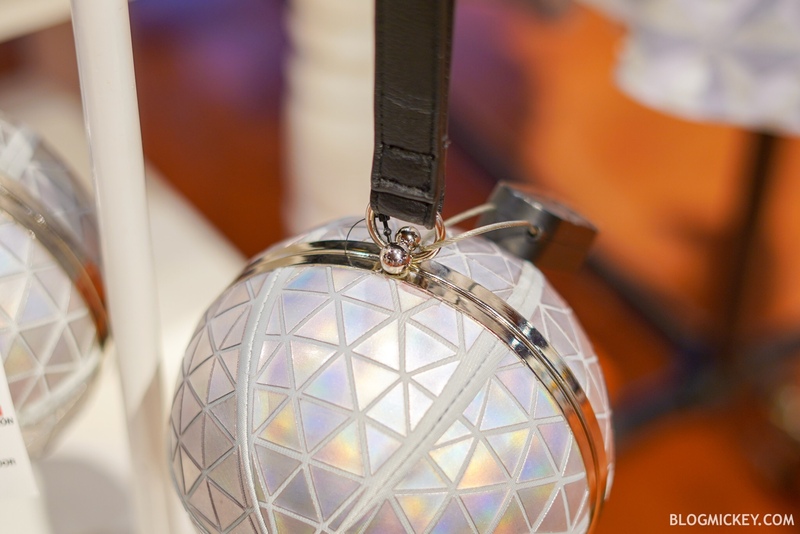 The Spaceship Earth wristlet has an iridescent shine to it. 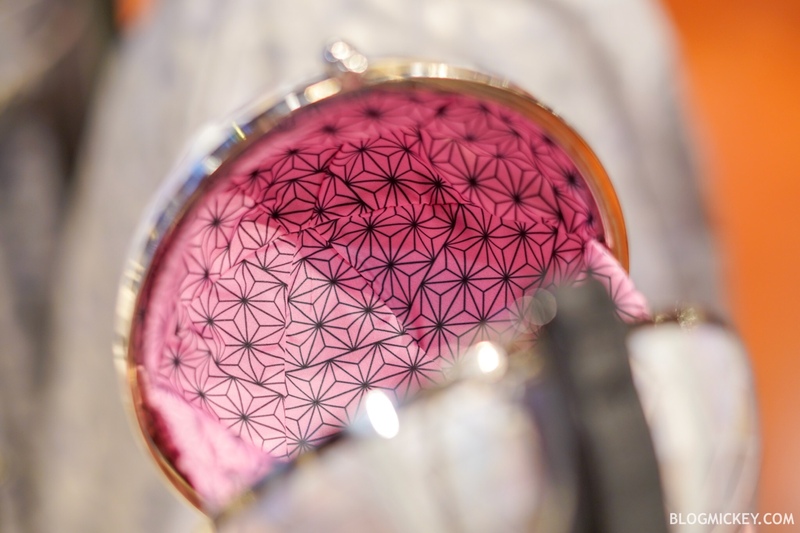 It’s made of a hard plastic shell to ensure it keeps its shape at all times. A soft, shiny plastic is used for the individual triangles. 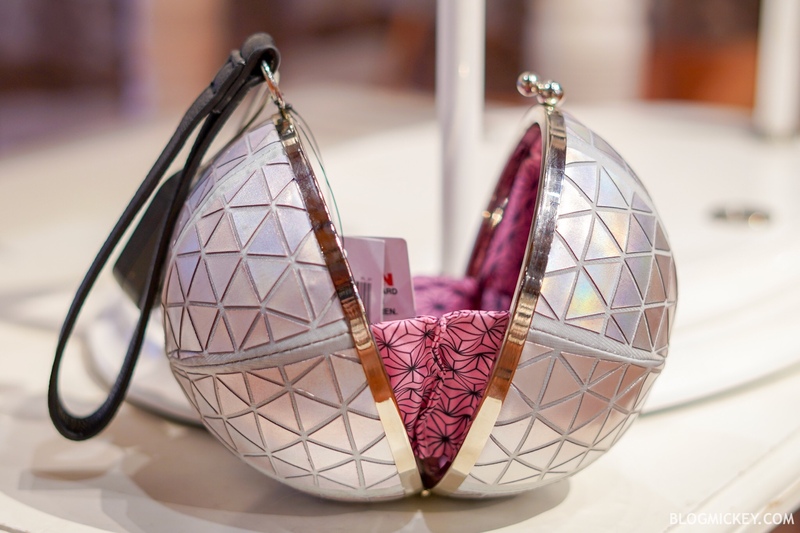 While it might look traditional on the exterior, opening up the clasp reveals a pink interior with the iconic Spaceship Earth tile pattern. 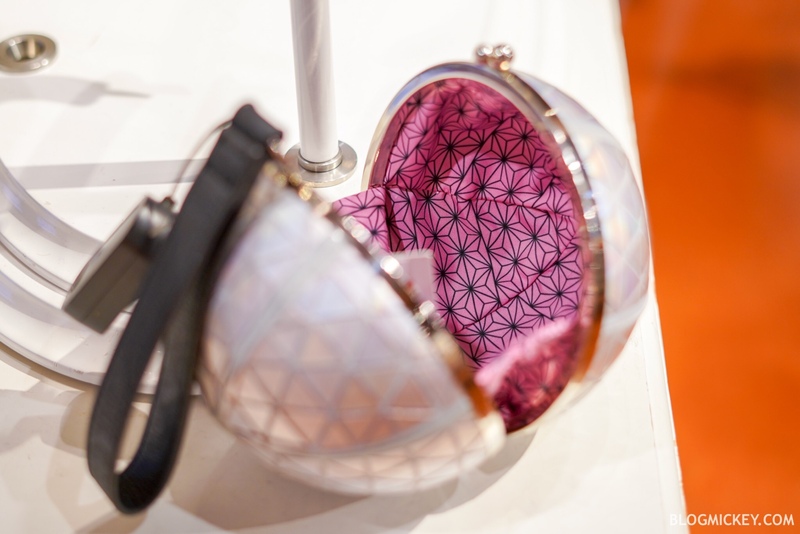 The wristlet opens up wide enough for you to fit your belongings inside, but stops well short of opening up completely.